﻿J. Frank Dalton the man, the myth, the legend. When it comes to promoting ones self there are few who can rival Mr. Dalton. Even today it seems impossible to sort through the spider web of false stories surrounding his life. 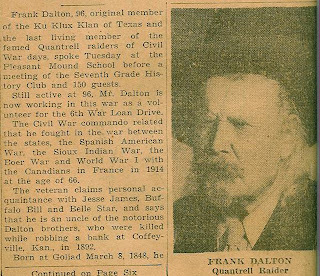 He has claimed to be everyone from Billy the Kid to Jesse James. 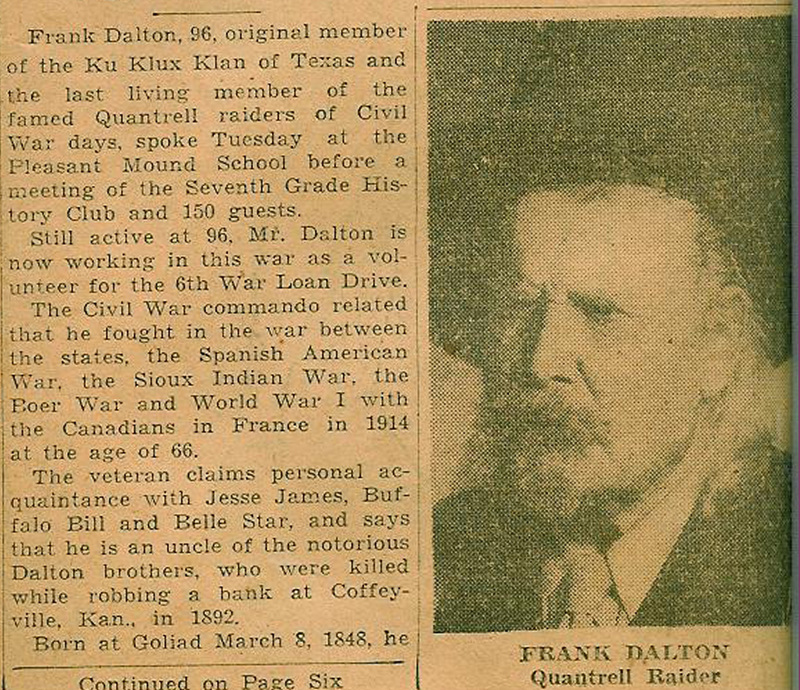 This article from a 1944 Dallas newspaper is just one more small piece of his legend. I will post the rest of the article in the next post.